According to the California State License Board (CSLB), any person who bids on a construction contract worth $500 or more of labor and materials must have a current contractor’s license from the State of California. 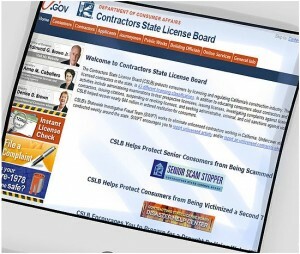 The CSLB is the first place to check a CA licensed contractor. You’ll learn critical information about a contractor such as when the person acquired their license, how much insurance they carry and if the individual has any current or past legal actions against their company. Further research such as contacting former clients and inspecting work quality can also help determine the quality of a California contractor. 2. 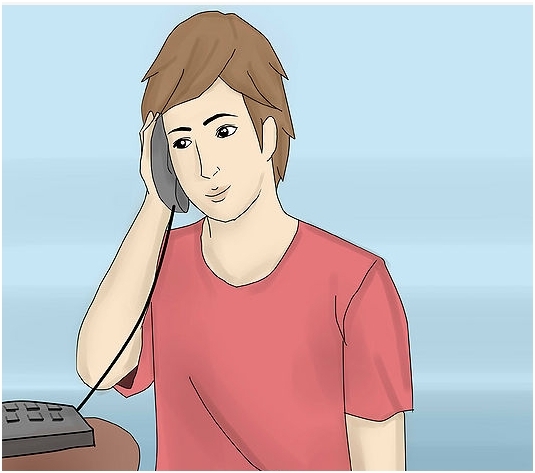 Search by the contractor’s license number. Locate your vendor’s six-digit license on any printed materials such as advertisements, an estimate worksheet or business card. 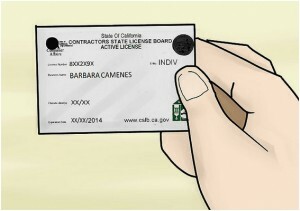 By law a California contractor must include their license number on all printed materials. person’s first and last name or company name. 3. Click the contractor’s name to examine the license history. Several people with the same name may appear. If so, search for the city where you believe your contractor resides. Verify when the contractor obtained a license and what type of construction work they are licensed to perform. Notice if the license is currently active and how much insurance and bonds they carry. 4. Ensure the contractor has workers compensation insurance for employees. If they don’t, you can be liable for any on-the-job injuries incurred by workers. If it is noted that the Contractor is exempt from workers compensation insurance be alert as this means that the contractor has stated to the California Contractors State License Board that he is working alone and that he has no workers or not using subcontractors. 5. 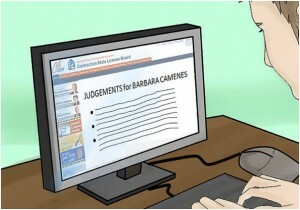 Look for judgments against the contractor. Verify there are no public complaints or civil actions against substandard work. 1. Telephone the CLSB at 800-321-2752. This allows you to check contractor’s licenses using an automated voice system. 2. Press the number 1. 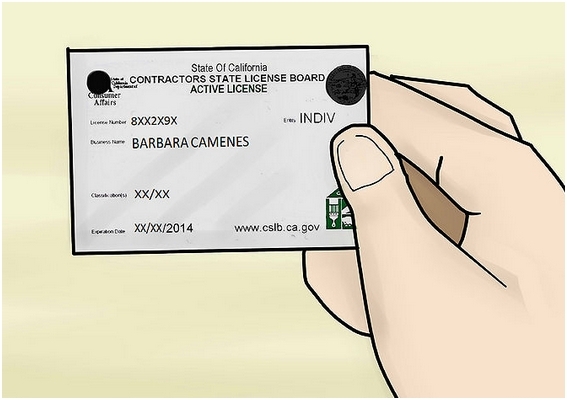 This enables you to check the validity and history of a contractor’s license. 3. 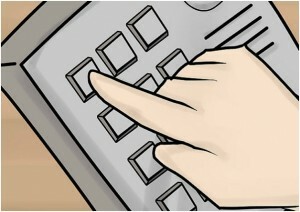 Press the number 1 again. Next, enter the license number. A license only has numerals, not letters. 4. Review the license information provided. The automated system shares the same contractor license histories available on the CLSB website. Speak with an agent if you don’t know the license number. Press the numeral 2, then 9 to transfer your call to a live agent who can answer questions Monday through Friday during business hours. Finding the right contractor for a Kitchen or Bath remodel might seem like a daunting task, but it doesn’t have to be. A few simple steps can mean the difference between finding a competent contractor or ending up with a fly by night company that is only after a quick buck. 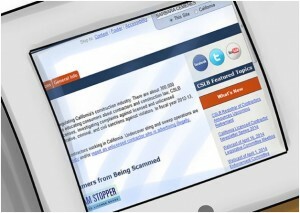 In today’s cyber age most contractors are found and researched on the internet. Narrow down the list of contenders, and set up meetings. Is there a magic number of contractors you should interview? Be alert if the contractor shows up in a car with an out of state license plate or if his phone has an area code that is not from the area. Hands down, talking to former clients of the potential candidate is probably a good start to make sure you have someone that knows what he is doing. Ask the referral what made it a positive experience, how the contractor handled problems and whether they would use the same contractor again. 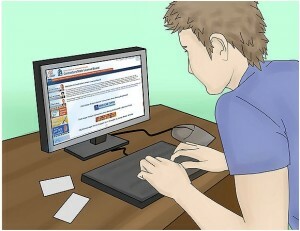 With recommendations in hand, do some preliminary research, check if the remodeler has a website. Check Yelp, Angie’s List or other web rating sites. Most importantly find out whether the contractor holds all the required licenses from the State Contractors Board and a Business License from the local municipalities, as well as Workmen’s Compensation Insurance and Liability Insurance. Ask to see a copy of the Contractor’s License and their Certifications of Insurances. Does your company carry workers compensation and liability insurance? Ask for copies of the insurance certificates to verify coverage. How long have you been in business? Look for a company with an established business history in your community. Who will be assigned as project supervisor for the job? Get names and contact phone numbers for the main persons who will be involved in your project. What is the time frame for starting the project? What is your estimate for completion? How early will your crew normally begin work? When will they normally quit for the day? Will I be contacted about delays or changes in the schedule? By whom? How do you operate? In other words, how is your firm organized? Do you have employees or do you hire subcontractors? If you do have employees, what are their job descriptions? Do you use a project supervisor to oversee the project? You should know what parts of your project will be handled by staff, and which will be contracted out to independent contractors. Is your company a full service or specialty firm? If you are planning a small project, say replacing only some of the bathroom or kitchen plumbing fixtures, you may be better off hiring a specialty plumbing firm, however, if your project involves multiple changes, entire rooms or additions, you should consult a full service or design-build firm. Do you have design services available? If you are considering a large or involved project, you will need design services. If the contractor does not have design-build capabilities, you should consider hiring an architect or designer. Depending on the scope of the project, you may need a structural engineer. May I have a list of references for projects you have completed which are similar to mine? The contractor should be able to supply you with a minimum of three references, including names, telephone numbers and addresses. After zeroing in on one contractor who seems right for the job, take a look at the documents he or she has prepared for you. Do they look professional? Make sure that they show the contractors or a company name and the California Contractors License Number. The scope of work should be itemized with a price for every item, be skeptical if you get a lump sum proposal. Scrutinize the contract, does it seem fair and balanced? Make sure that the written agreement includes a payment schedule. Sometimes plans of the project are required. Look for a change-order clause, a clause about dispute resolution and a waiver of lien, which would prevent subcontractors and suppliers from putting a lien on a house should their invoices go unpaid by the contractor. If everything checks out, go ahead sign on the dotted line with confidence. You’ve been dreaming about it for years, at this point: the perfect addition to your home. Whether it’s a fancy game room, new master suite, or expanded, eat in kitchen, you just know that it will complete your home, as well as increasing its value. On the other hand, you’ve watched enough of those do it yourself shows, where the homeowners attempt such things on their own and get stuck halfway through, that it’s scared you away from trying to do it yourself. You are also afraid that if you call in the professionals, the consultation itself will be over your budget and that big dream will just stay that way—a dream. We know that your dream addition can become a reality, with our assistance. For starters, we do not charge for consultations. We start with a phone conversation to help us understand the parameters of your dream. That is followed by a free, on-site estimate meeting with one of our project coordinators. This gives both you and us a chance to ask questions, get a sense of each other, and see the space onto which you want to build your addition. The next step is that our project coordinator will present you with an estimate, along with some ideas for possible alternatives that can help your budget and/or increase the value of your home even more than you had imagined. Once we have come to an agreement on the job, you will receive both an itemized list and a schedule for your project. This means that you are always fully informed about what we are doing. Once we begin working on your dream addition, we also assign a jobsite manager so you have someone to connect with while the work is actually going on. We believe that all of these steps are necessary because a dream only becomes a reality when there is careful, thorough communication about the work. It is because of extra steps like this that our track record is so excellent, and our customers are so happy. We may not be a cheap, fly-by-night construction company, but we promise you that your dream addition will add value to your home, and be well worth the cost. We look forward to working with you on your dream, so contact us today and let’s get started! Window replacement is often part of a home improvement project. Windows are a big investment, and not many people buy them regularly, so the lingo used in the window industry is something you will want to know before shopping for windows. Here are the terms used for each part of a window. Head – The head of a window is the main horizontal part forming the top of the window frame. Jamb – The jamb are the two vertical pieces of the window frame. Sill – The sill of a window is the bottom horizontal part that forms the frame. Frame – The frame is the combination of the head, jamb and sills that form the opening in which the window sash is set into. Grilles – The Grill is any bar that divides the window glass into smaller panes. In many cases, the grilles are decorative and are just set into the frame. This is also known as a muntin bar. Balance – A mechanical device used in some windows to balance the act of opening and closing. 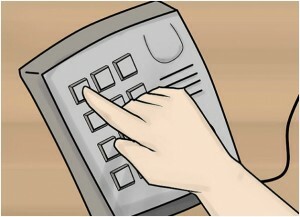 The device makes opening and closing the window a bit easier. Casing – The casing is the exposed molding on either the inside or the outside of the window. The casing covers the space between the window frame and the wall. Bradco Kitchens and Baths can help you with your window replacement project, or any other home remodeling project that you are taking on. We work in the Los Angeles area, and specialize in kitchens, bathrooms, additions and new construction. Contact us today for a free, no obligation estimate. The kitchen is one of the best-loved and most heavily-used rooms in your house. For that reason your choice of a kitchen remodeling contractor to complete your desired upgrades cannot be made too carefully. Too often contractors are selected rapidly and without careful investigation of their prices and contractor’s license. Many contractors intentionally misquote the cost of the job in order to be hired (with the intent to add extra expenses later), leave without completing the job or provide questionable work completed low-quality materials. When selecting your contractor be sure that he has a license and insurance as well as workman’s compensation. Research the company to determine the length of time they have been in business, see customer reviews and ensure they’re qualified to provide the services advertised. After you’ve selected a contractor for your kitchen re-model be sure and investigate the design trends for 2015! According to one article trends for this year include; fresh, white-painted cabinets, durable and luxurious quartz countertops, gray accents, environmentally-efficient LED lights, electronic, hands-free faucets to maintain a sterile environment, satin, nickel finishes for a modern look and glass backsplashes to add dimension and shine. Using a top-quality contractor to implement the latest color and design trends is guaranteed to provide a kitchen makeover you’re thrilled with! Many homes have Small Bathroom space, but at first glance it looks cramped. Too much stuff squeezed into that tiny space. There is hope, however. By making minor adjustments to the bathroom it will look larger. Since looks matter in selling, buying and remodeling take these tips below to heart. Bathroom color visually makes a room larger or smaller deepening on what you do. Don’t paint the walls one color and have everything else another color. This makes the space small. Make it look larger by painting the whole bathroom the same color—preferably a light color. The ceiling should have the same paint color as the walls for maximum expansion upward. Blend tile color and wall color to be the same color. Paint the tiles the same shade as the bathroom so the shower/tub can unite with the rest of the space instead of looking like a separate space. The whole space looks larger visually. Showers and bathtubs take up most of the space in the bathroom. Just looking at it makes the bathroom small. By making these changes it will look and feel larger. Take tiles to the ceiling. It’s unusual to do that, but it feels more spacey than the way most builders do it: they stop adding tile one inch or less below the ceiling and add edges. Attach shower designs throughout the rest of the bathroom. It makes it look consistent and clean; that makes the space expand. Tile designs should run outside of the shower and onto the bathroom walls. Designs on the shower floor should be the same design on the bathroom floor. Stopping one design and starting a completely different one makes the space choppy. Clear glass in showers opens up space in the bathroom; it feels like an extra wall. Big mirrors in a small bathroom are a win-win. Trim or no trim one large mirror that reaches the ceiling makes the space grow. Mirrors in the bathroom must be placed in the right area for maximum results. Placing a mirror across the window expands the wall to makes it seem like there’s two windows in the same space. Placing a mirror toward the ceiling opens up the bathroom from the top. Add a few ceiling light fixtures at the top of the mirror, hanging above or across from the mirror makes the scenery complete without any remodeling. Get as much natural light in the bathroom as possible. Open up the window to let the sunshine in. Use translucent window shade or stained glass for a mix of natural light and privacy. Add bathroom shelves or the medicine cabinets inside the wall instead of having the shelves stick out. If you need any home remodeling done to your bathroom, contact us. We use these tricks and more to make the most out of any small space.